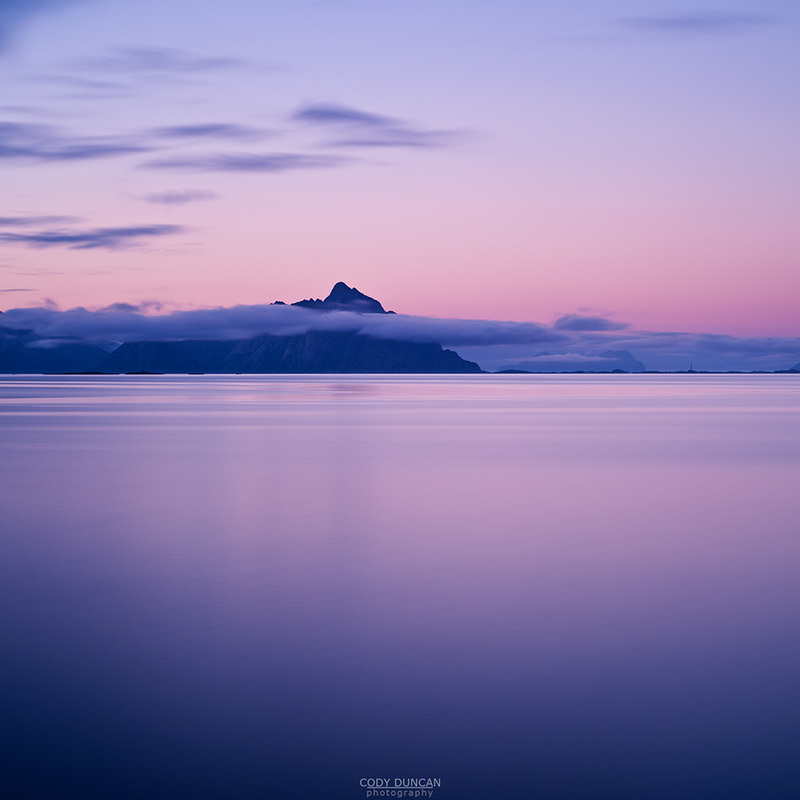 The end of August brings the last days of summer to Lofoten. This is a period of transition, where a hint of autumn color can be seen across the land while the growing nights still have a faint glow in the northern horizon. The weather can become turbulent and yet summer still is still here, keeping the islands open for exploration. And if we are lucky, the first hints of northern lights might make an appearance in the midnight sky. 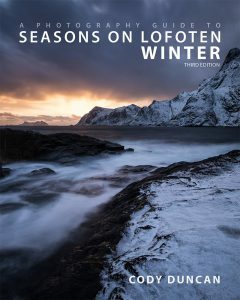 Come join me on this exploration of Lofoten. We will chase the light and storms along the coast and take advantage of any fair weather to head up to some nearby peaks, for world class views across hidden beaches and distant mountains. 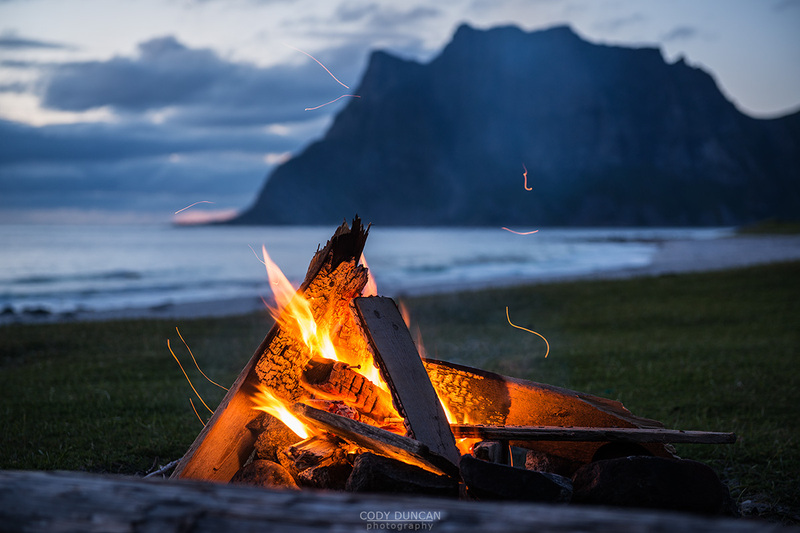 We may even decide to ‘stay up’ for sunrise, while enjoying a campfire and bbq at a scenic seaside location. The workshop will officially begin in Leknes at 12:00 on Saturday, August 20 and end in Leknes at 12:00 on Friday, August 26. Please schedule your arrival as close as possible to these times. Pickup/drop-off will be available at Leknes airport and in the city center. 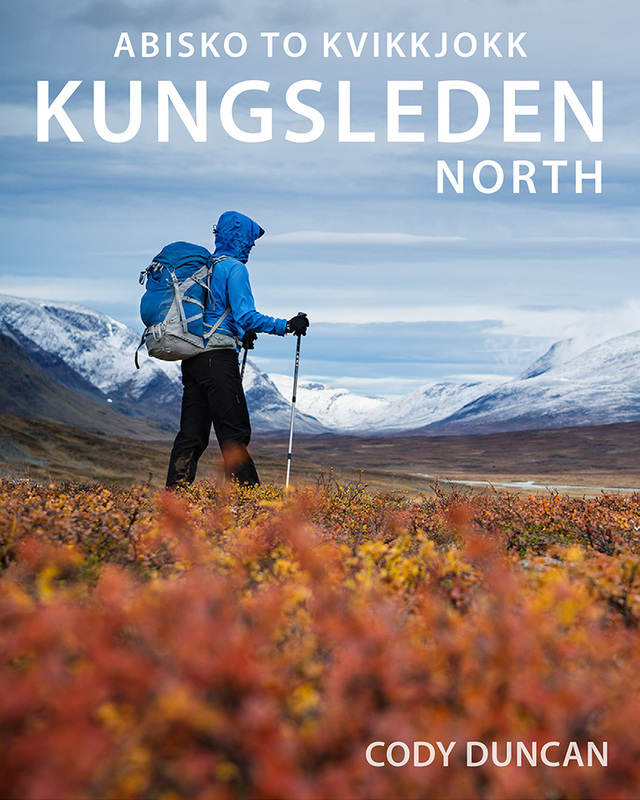 Accommodation: Our bases will be on Vestvågøy, in the heart of Lofoten and in Reine, in scenic western Lofoten. Physical Ability: Moderate physical ability is suggested for this tour. Though this is not a hiking only tour, we do plan to visit at least one mountain and wander around lakes and valleys. 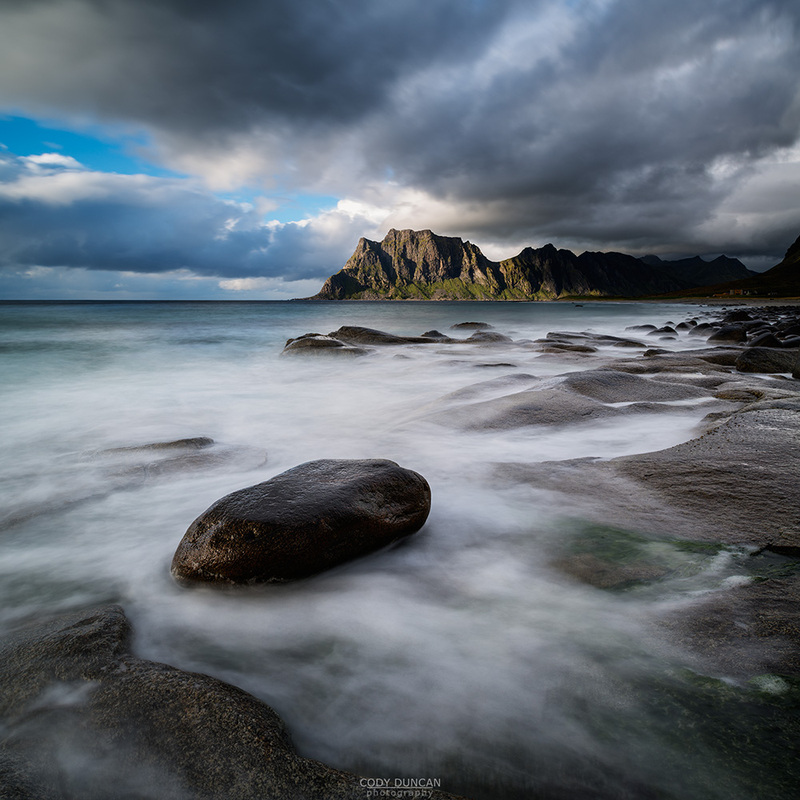 This workshop is a grand tour of Lofoten. 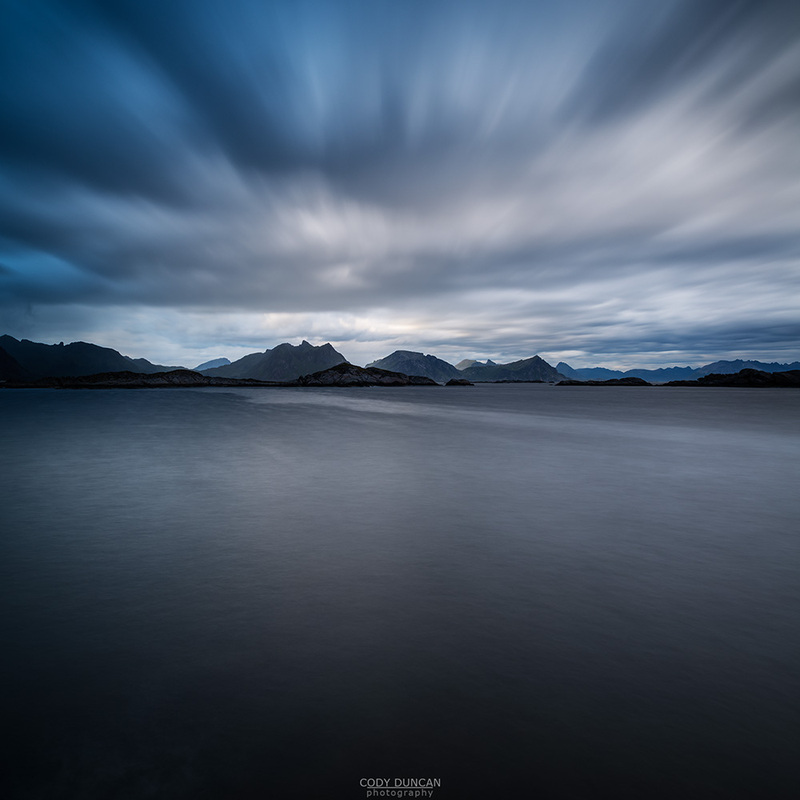 We will chase light at Lofoten’s roadside highlights including the beaches of Vestvågøy and Flakstadøy, and visit the scenic villages of Reine, Hamnøy, and Å. 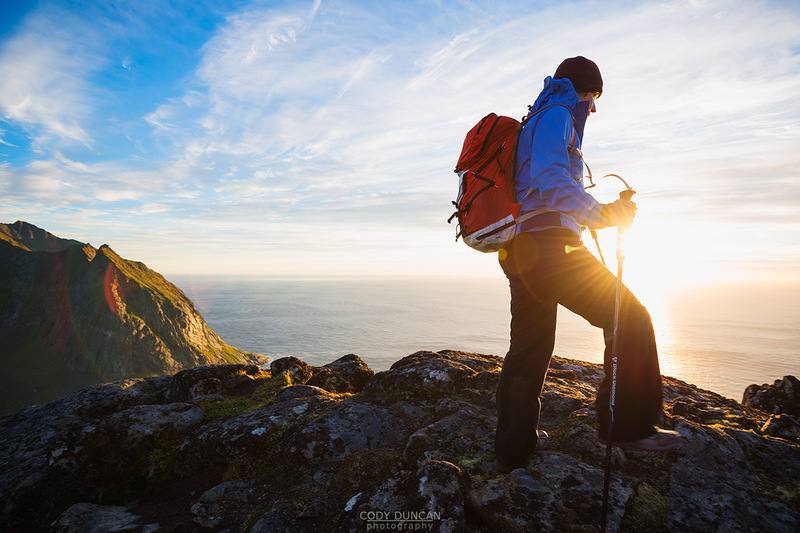 Weather permitting, we will make some easy hikes to more distant and secluded locations of Lofoten. You will be picked up in early afternoon in Leknes. We will first head to our accommodation near Leknes to drop of bags before going out to explore some nearby areas. Allowing for flexibility of local weather conditions, we will explore the central areas of Lofoten during the first few days. 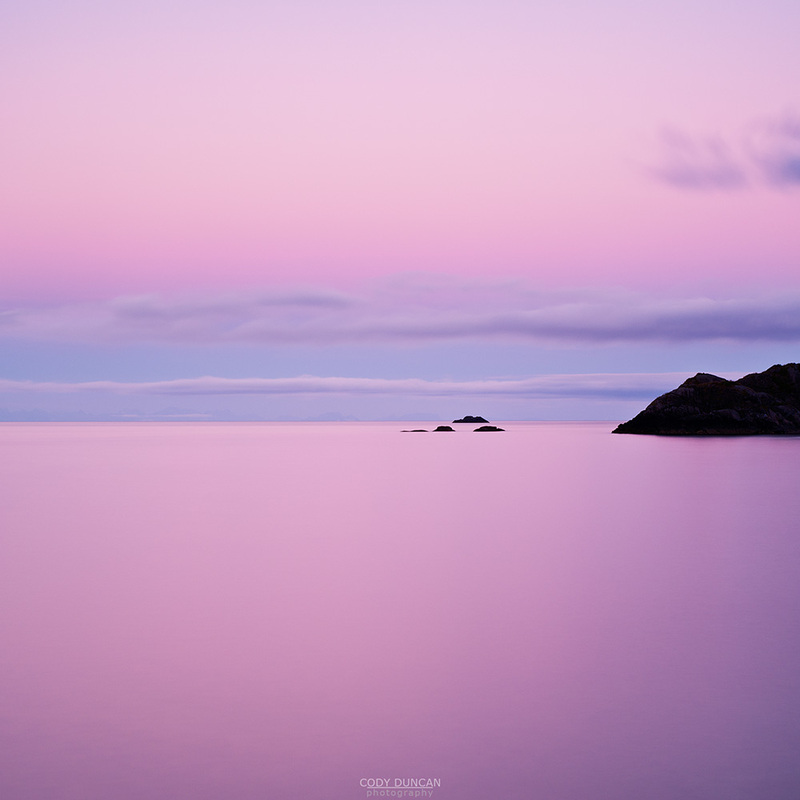 Typically we’ll focus on the famous beaches of Vestvågøy and Flakstadøy during the mornings. As we see how the conditions develop throughout the day, we’ll pick a mountain destination for mid afternoon and shoot sunset from the summit. If the weather is extra special, we might even take a gamble and wait around on the summit for northern lights to appear. Over the second half of the workshop we will travel west to focus on the scenic views around Reine and Å. 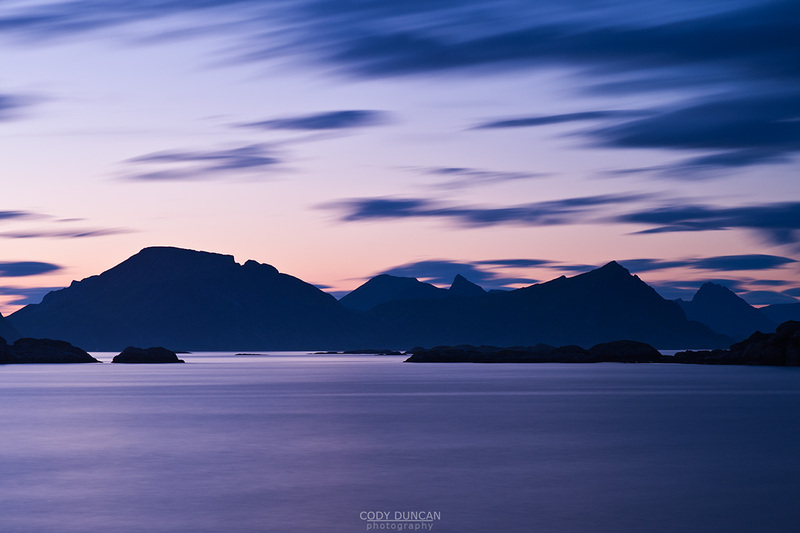 Here the mountains rise vertically into the sky in some of Lofoten’s most well known views. Weather permitting, we will take a ferry through Kjerkfjord to the isolated village of Vindstad. Here, the famous Bunes beach is only a short walk away. 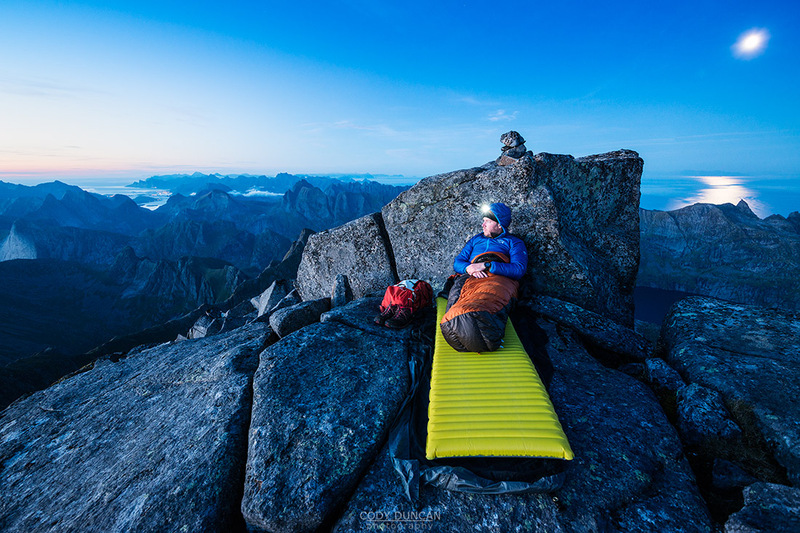 Accommodation – 6 nights on Lofoten in shared rooms (single supplement 600 Euros extra). All transportation on Lofoten, including Leknes airport pickup and drop-off in a passenger van. Complimentary downloads of all Cody’s eBooks prior to the trip. Meals: We will typically split meal cost among group and cook together. Insurance: travel insurance is mandatory for this trip. Tour guides and trip organizers will use their best knowledge to keep all participants safe, but will not be held responsible for any personal or equipment injury which might occur. Insurance needs to cover any emergency medical treatment and transport, related to the tour or not, which may occur. You will need a camera bag which is suitable some moderate hiking and walking. This means it should not be overly heavy, while having enough room to carry your camera gear, extra clothing and some food/water. You will need to be prepared for potentially rainy and wet conditions. While I won’t be taking us to the mountains in torrential downpours, passing light showers are a likelihood. Proper hiking footwear prepared for muddy trails is also a requirement for this trip. In addition to good shoes, you will want to have extra socks on hand in case your feet do get wet. I would suggest having 2 pairs per day. 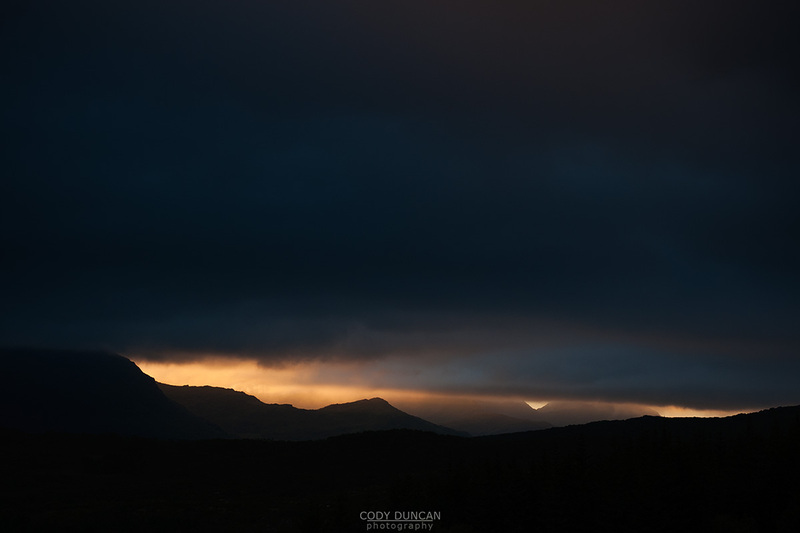 Cody now lives on Lofoten.